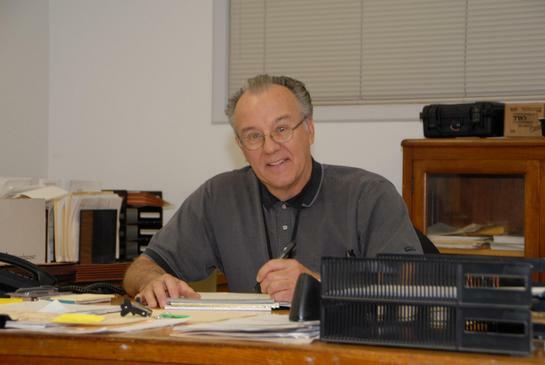 On June 29, 2007, Superintendent James V. LoVerde retires. After 44 years and 10 months of outstanding service to the Chicago Water Department, Mr. Loverde is moving on. What a tragic day this is for all Chicago Taxpayers. Mr. LoVorde is irreplaceable, period. I have never in my life worked for a person that gave an effort like Mr. LoVerde. I remember time after time, when Mr. LoVerde barked a command, the task was completed with no questions ask. James was without doubt the boss, plain and simple. James ran the ship, and the ship was ran professionally. No one knows the Chicago Water System as well as James LoVerde, he is the best of the best. When James walks away from this department, will he be asked to be a consultant? Or was the family man and leader in his church just too honest? Good Luck and God Speed. Photo by Patrick McDonough. Didn’t LoVerde cover up for Martin Munoz’s violent behavior?